Horchata or hot chocolate? Whatever's in that glass you raise to honor those who came before you, make sure your guests are all supplied with the perfect libation. 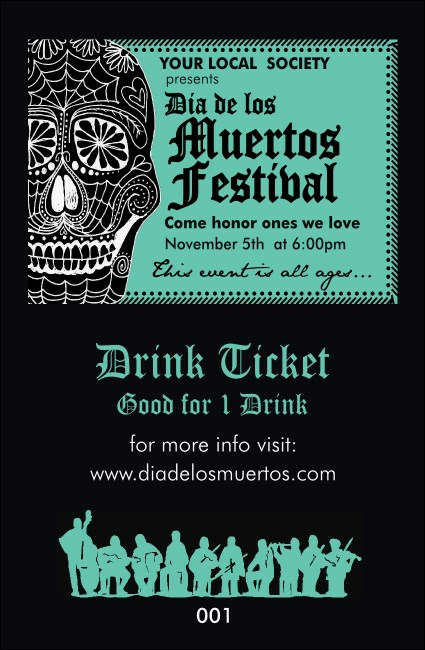 Choose this Day of the Dead Drink Ticket to boost sales, keep the bar orderly, or reward all those angels who've helped make your event a success.